Home » Seized 1359 Kg Ganja found inside the Oil Tanker. 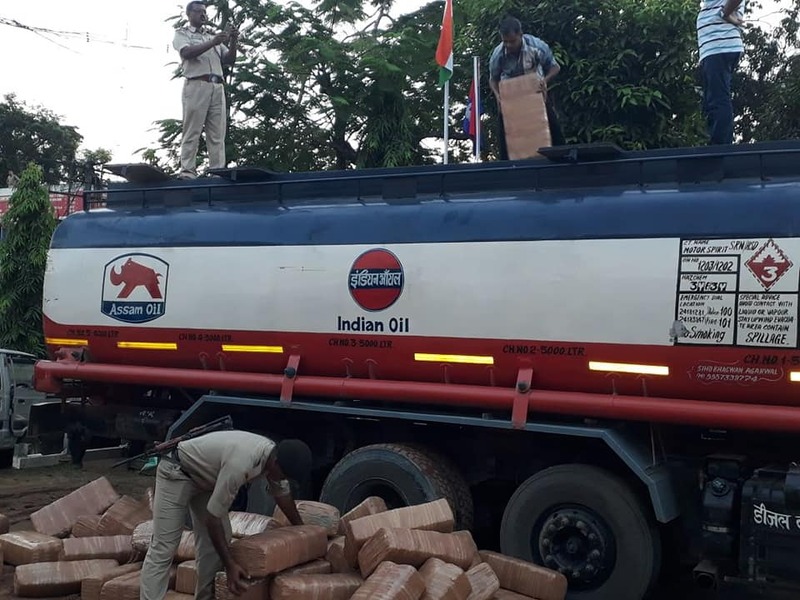 Seized 1359 Kg Ganja found inside the Oil Tanker. In an another successful raid, North Tripura District Police intercepted an Oil Tanker. On search 1359 Kg Ganja was found consealed inside and was seized. Three persons also arrested in this connection. The war on drugs continues.